Looking back again at the number of games that I didn’t get time to play, it’s clear that only attending the first day of Rezzed was probably a mistake. There was so much I wanted to do: I wanted to play Ether One and icefishing v and Montague’s Mount. I wanted to see what the hell Revenge of the Sunfish 2 actually was, and to spend more than a paltry fifteen minutes with Redshirt. But sadly, it wasn’t to be. I just didn’t have time. In a way, we never really have all the time we want, do we? In life, that is. But what can we do against the inexorable and unsympathetic march of time? Some of us struggle and panic, withdrawing into ourselves in the face of the cosmic meaningless of it all. Some of us embrace that impermanence and try to live meaningful lives while we’re here. In the end, there’s not much any of us can do. We play the hand we’re dealt, don’t we? 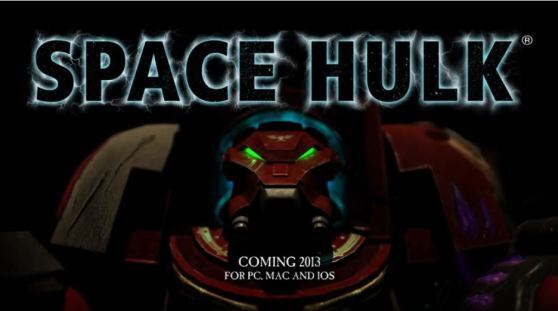 Space Hulk is a turn-based strategy game based in the Warhammer 40,000 universe. From the first moments its dark corners and overwhelming sense of vulnerability caused me to make lovestruck comparisons to the original X-COM. But as I continued through the demo level I started to lose faith, and ultimately I came away feeling disappointed. Like X-COM the game relies on random dice rolls for everything from the outcome of a round of combat to the placement and numbers of enemies in a level, but while X-COM’s use of randomness led to an interesting, fearful tension, here it just doesn’t feel right. Sure, it had its fair share of tension, but Space Hulk broke some of the fundamental rules of ‘How to Include Randomisation in Your Game’. Getting all of your units killed because you rolled three ‘1’s in a row is rarely fun, and similarly, feeling like all your successes are just down to good luck gets old fast. X-COM is filled with randomness, but the game’s systems are strong enough to allow, even demand, highly tactical play. As a result, a good, flexible X-COM player will be able to succeed in the face of the worst odds, while even the best luck won’t save a bad player from failure. Randomness can add drama to a well-designed, smartly balanced game, but if a game isn’t robust enough, the introduction of randomness will just make it feel unfair and cheap. Space Hulk, unfortunately, falls into the latter category. It felt completely ruled by randomness, with very little scope for tactical decision-making. As I played the game, enemies would randomly appear in random numbers at semi-random locations, and then come running straight towards my units. When they got close enough I’d be able to order my units to open fire. If the dice went my way I’d kill them. If I made a couple of bad rolls my unit would miss, jam their gun, and die. Later levels of the game are set to introduce new weapons, abilities, and level objectives, and hopefully this will go some way towards introducing an element of strategy into the experience. Because right now it feels like little more than throwing dice at a wall and waiting for something to happen. That Dragon, Cancer: From Space Marines fighting aliens on a derelict starship to scenes of a child suffering from terminal cancer. That Dragon, Cancer is based on life experience. Two of the game’s developers -Ryan and Amy Green – have spent years caring for their terminally ill son. The short scene I played, set in a hospital room with a sick, screaming infant, was, naturally, emotional stuff, and I found it genuinely difficult to stop myself from outright crying in a room full of strangers. Which I think we can all agree is the worst kind of crying to find yourself accidentally participating in. It’s difficult to say all that much about That Dragon, Cancer, partly because there wasn’t all that much to see. It was quite powerful, and the writing especially – largely revolving around the inner monologue of the sick child’s father – felt, above anything else, true. Like the thoughts and words of a real person, not a character, struggling with some of the most fundamentally difficult things it’s possible to struggle with, and not knowing how long they keep going without falling apart. I suppose that’es largely because these are, by and large, the the thoughts and words of real people in such a situation, rather than a writer trying to imagine what it would be like. Unfortunately, there were a host of minor issues that cropped up throughout. The voice acting, for example, struggled to keep up with the strength of the writing, and the simple point-and-click interface felt strangely unintuitive, leading to several stilted moments where I struggled to figure out exactly what the game wanted me to do, and exactly how it wanted me to do it. These certainly weren’t huge issues, of course, but they did do their best to periodically break up and jar apart an otherwise affecting experience. 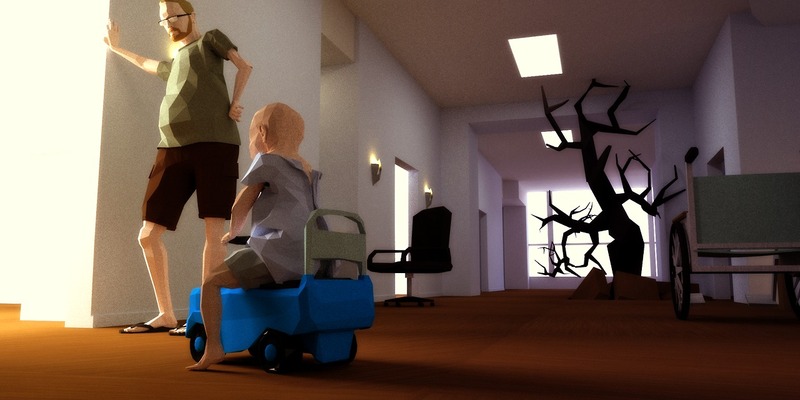 That Dragon, Cancer is already a very impressive effort. and it has the potential to be something really very special As with anything else at this stage there are kinks to be ironed out, but it has, at its core, something very powerful. I’m very much looking forward to seeing where the game ends up. Redshirt is a sci-fi social sim. It’s Facebook in space, with the added tension of schmoozing your boss, managing your finances, and being used as a pawn in a vast galactic war. You start the game as a new recruit on the lowest rung of the social ladder, and it’s your job to use the space station’s proprietary social media site ‘Spacebook’ (I wasn’t kidding about it being ‘Facebook in space’) to orchestrate your rise through the ranks. You do this by liking people’s statuses, commenting on their walls, inviting them to events, and all manner of social (and anti-social) behaviour. But while you may think that it’d be easy enough to make the right people like you by inviting them to lots of events and ‘liking’ their statuses, it’s nowhere near as simple as that. That’s where the game lies -in navigating this complex social web to get what you want without making everyone hate you in the process. The first thing I noticed about Redshirt is that it’s very, very funny. It was the only game on the whole of the show floor that made me properly laugh, and it did so countless times in just a few short minutes. It does this not only by playing around with its absurd sci-fi world, but by perfectly capturing the mix of bravado and social anxiety that naturally accompany websites like Facebook and Twitter. For example, at one point I glanced at the screen of another person playing the game to see that they had accidentally ‘liked’ their own status. Turns out that in a game of social interaction, that’s one of the worst faux pas you can make. This sense of social awkwardness – of desperately grasping at straws as you struggle to stay afloat in a sea of popularity – seeped into nearly every moment of my experience with the game. It was so effective, in fact, that it took a while for the game’s other major strength to sink in. But eventually I began to realise just how complex a game Redshirt is. It’s built up of a myriad of deep, overlapping systems; with hundreds of possible Spacebook friends, each with their own friends, likes, dislikes, professions, and so on. This means that your tactics for impressing each will have to be drastically different. Then there’s a series of skills you can upgrade, money you can earn from going to work, things you can buy or spend money on for various benefits. And all this builds towards the career path – your way of slowly creeping up the ranks in the space station to ensure you’ll be in a cushy administrative position when the galactic war comes calling. I felt like I only got a tiny snapshot of the true scope of the game, but even that was enough to establish it as one of the most impressive games, with one of the most original, compelling concepts, on the show floor. I can’t wait to get my hands on a full, finished version and really dig into everything it has to offer. Stay tuned for Part Two, where I’ll talk about Total War: Rome 2, Sir, You Are Being Hunted, and Gone Home. This entry was posted in Games Blather and tagged Expos, Redshirt, Rezzed, Space Hulk, That Dragon Cancer. Bookmark the permalink.